A cosy self-heating pad for your cats and dogs, helping to keep your beloved pet warm during the cold seasons. 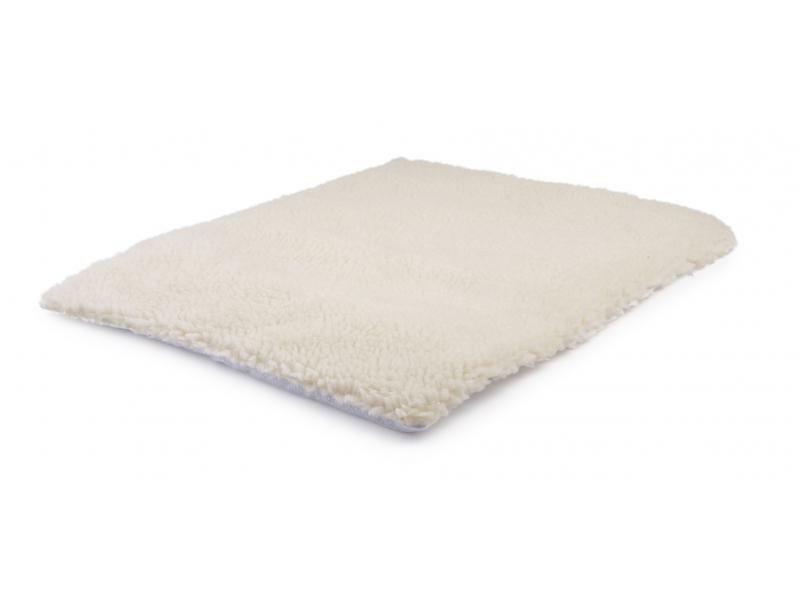 The warm fleece pad works simply by reflecting your pet's body heat back towards them. Below are some recent questions we've received regarding Ancol Sleepy Paws Self Heating Pet Pad for Dogs & Cats, including answers from our team. Would this work for outdoor cat? Would this pad keep my cat warm while sleeping in shed in the winter. She won't come into house except for food. This should work well at retaining her body heat if you place it inside her current bed. It doesn't produce heat itself, so will warm up once she gets in. I'd recommend giving her a bed with high sides to keep draughts out and keep the heat from her body around her. This Danish Deisgn Cosy Cat Bed is really popular and has high sides which cats like to nestle down in. Something like this would be ideal I think. There are microwavable pads you can put under her blankets which give off heat for up to 10 hours, so you could heat it up once or twice a day for her if needed. Are these pads reuse able or just a single use item? Yes these pads are reusable, and they do not require the microwave or any power source to make them work. All they need is your pet to sit or lie on it.